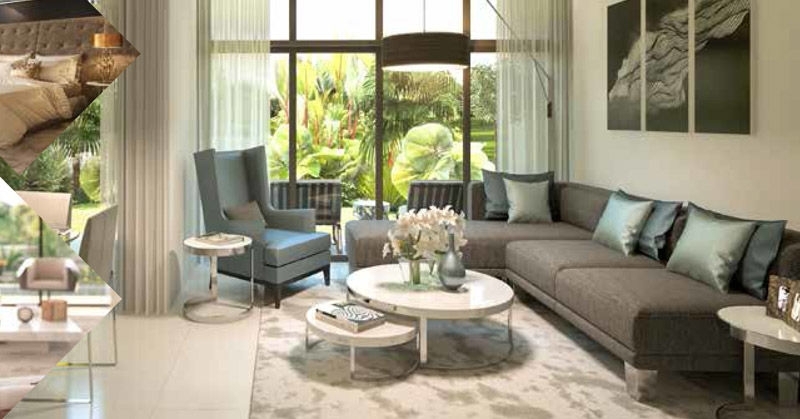 Aurum Villas by Damac Properties is a new cluster of 3-bed villas at Akoya Oxygen, Dubai.Akoya Oxygen is a 55 million sq.ft seized development.Akoya Oxygen – Aurum Villas is the ultimate attraction for investors and home buyers from all over the world. The project includes 2 and 3-storey villas in multiple clusters. The development is bound to captivate residents from the very first with wide open spaces and beautiful design. Aurum Villas at Akoya Oxygen consists in a collection of modern homes priced at AED 1.6 million. Akoya Community featuring "Aurum villas" homes with incorporating energy materials as lighting, solar water heating system and low emission paints. 3 Bedroom villas are the most unique cluster in Akoya Oxygen with a view of the biggest Golf course in the Middle East. The Villas covering the starting area of 2450Sq.ft with a private garage and nice garden. It is a very good opportunity for buyers and investors too. In the year 2013 DAMAC Properties introduced the ‘AKOYA by DAMAC’ master plan development in Dubai. 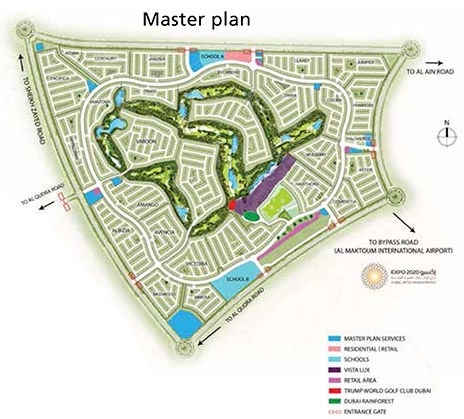 This master plan includes mansions, villas, luxurious apartments and retail centre surrounding“The Trump International Golf Club”.The company was established in 2002, since then Damachas delivered almost 11,000 units to date and has a development portfolio of over 26,000 units at various stages of progress. 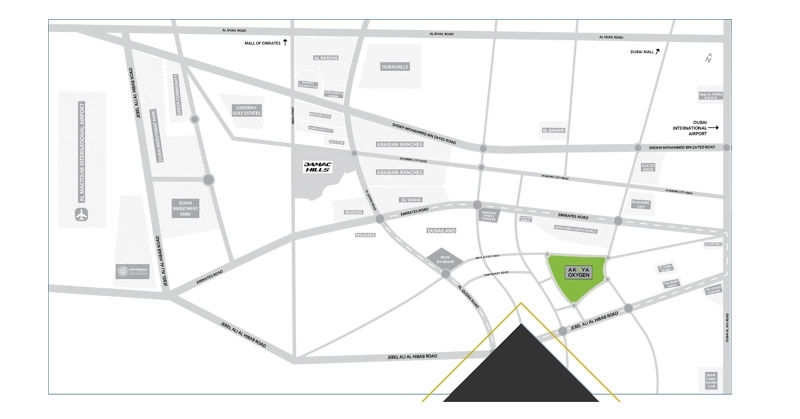 The location allows direct and easy access to the road networks that puts the city within easy reach. The villas give access a wide range of features in the magnificent community including a desert-inspired luxury, a unique yoga enclave inspired by nature, an organic fresh market and several healthy dining options. 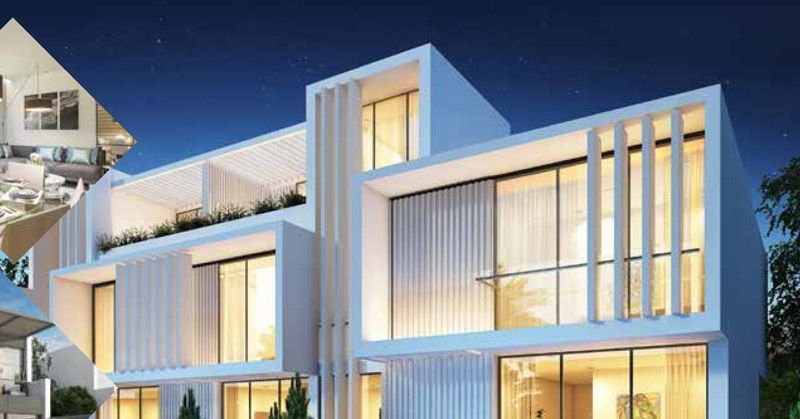 There are also a number of schools and nurseries as well as five star hotels and suites within the area.The project is situated off the Umm Suqeim road in Akoya Oxygen which is a mega development including luxury homes, mansions, stylish villas and retail centres around the golf community. Aurum Villas in Akoya Oxygen comes with facilities like Trump World Golf Club Dubai – championship course by Tiger Woods Design, Vista Lux at Akoya Oxygen (luxury retail, hospitality and entertainment), Tropical rainforest, Hydroponic café, Five-star hotel and suites, Desert-inspired luxury spa, Unique yoga enclave inspired by the natural elements, Waterplay fountains across the community, Organic fresh market, Healthy dining, Schools and nurseries. It covering the other various features such ashotel Services, Laundry Services, Nature & Parks, Nurseries, Parking, Schools, Security, Shopping, Spa, Swimming Pool, Cafes, Childrens Playground, Community, Dining, disabled Accessibility, Entertainment& Fitness.